Please type in the name you would like engraved. Max length 20 chars. Please allow 7 to 10 days for personalization. The “Starlet” 75th-anniversary commemorative timepiece is beautifully crafted in stainless steel and finished in ebony black IP. 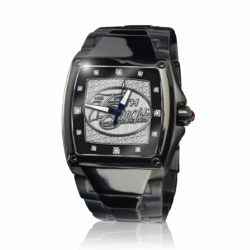 The dial work is created in jet black with ghost black 75 step and repeated artwork. The bezel is accented with black stones. 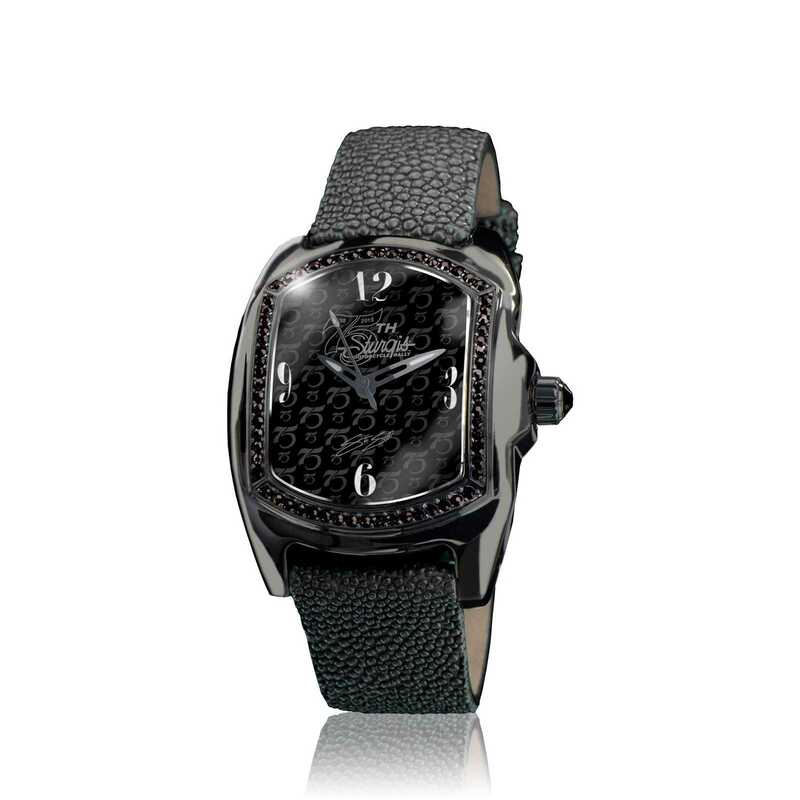 An exquisite hand made stingray strap with our custom quick release mechanism accents each piece. 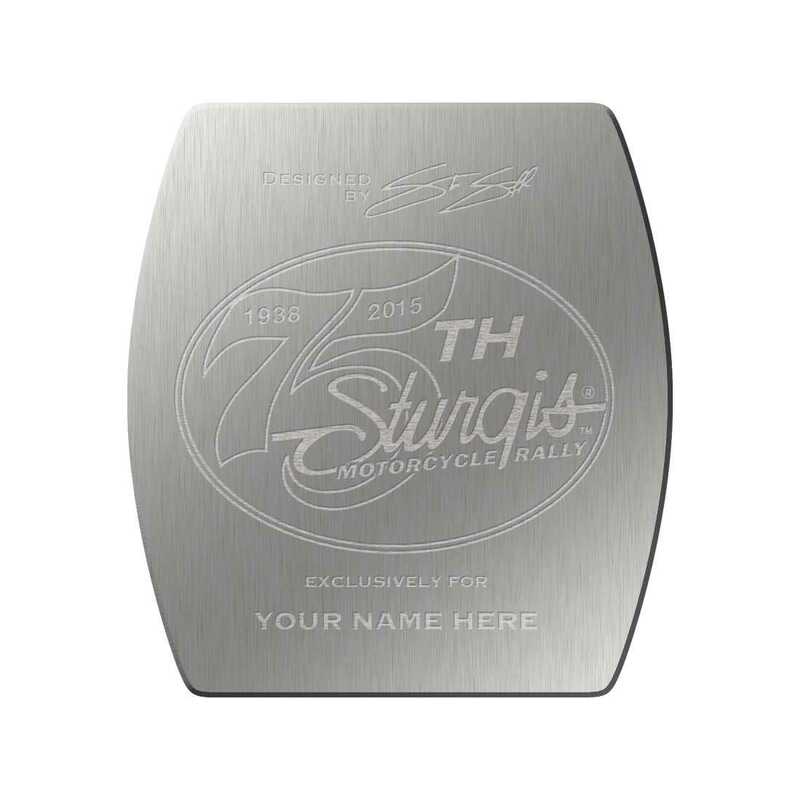 Each steel case back is etched with the 75th anniversary logo.